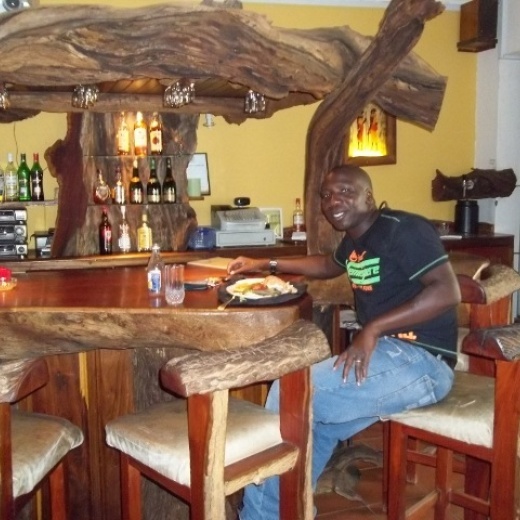 Trans Kalahari Inn camp is nicely situated just between Windhoek (22 km)and the International Airport Hosea Kutako. It is the ideal place to start your journey through our beautiful Namibia or spend the last night of your exciting trip nearby the airport. Our staff can assist you in planning your trip and are always willing to listen to your experiences in our beautiful Namibia. Just a view kilometres outside Windhoek makes that we have the civilized items nearby like golf resort, tennis, cinema’s, shopping centres and even a casino. 3 kilometres from our camp is a camp with game drive possibilities which we are happy to book for you.